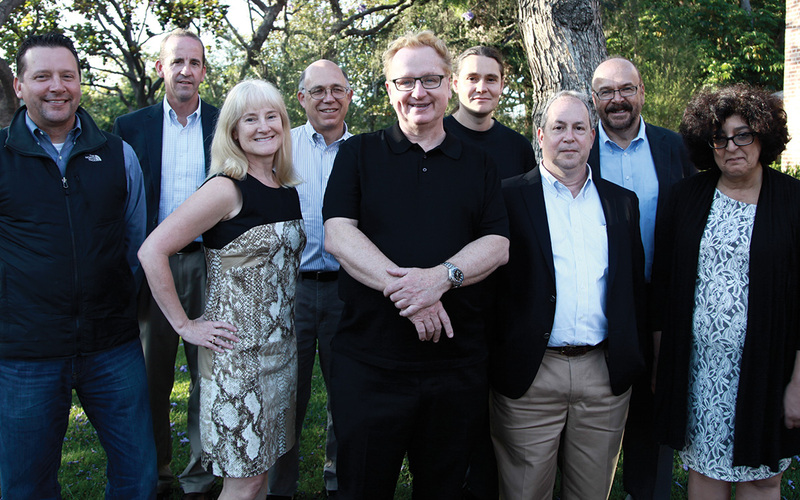 The Kay Symposium was celebrated May 30, 2014, honoring Steve Kay’s 25 years of successful chronobiology research. 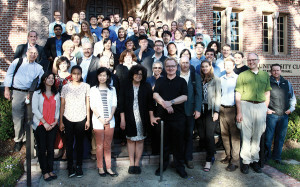 The silver jubilee of the Kay Laboratory was hosted at University Park Campus, University of Southern California, Los Angeles. This one-day event of scientific talks covered the past, present, and future of chronobiology research across disciplines. Steve’s research has focused on plants, flies, and mammals. He started his lab in 1989 at Rockefeller University, and since then he has pioneered many groundbreaking discoveries in circadian biology. Apart from great discoveries, another significant contribution of his research over the past 25 years has been providing successful mentorships. The people trained in his lab are successful scientists in their independent capacities, who are now committed to passing the baton of scientific learning to the coming generation. Eminent guests of the symposium included Joanne Chory, Joe Ecker, Elliot Meyerowitz, Susan Golden, John Mullet, Frank Doyle III, and Peter Schultz. 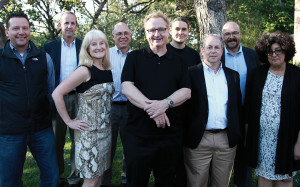 Colleagues: (from left) Ross Bersot, Frank Doyle III, Susan Golden, Peter Schultz, Steve Kay, Antony Dodd, Elliot Meyerowitz, Joe Ecker, and Joanne Chory. Photo by Eric Larsen Images. The guests and speakers gathered from across the world to congratulate Steve for his successful journey. His lab alumni didn’t hesitate to carve time from their busy schedules to attend this special occasion. 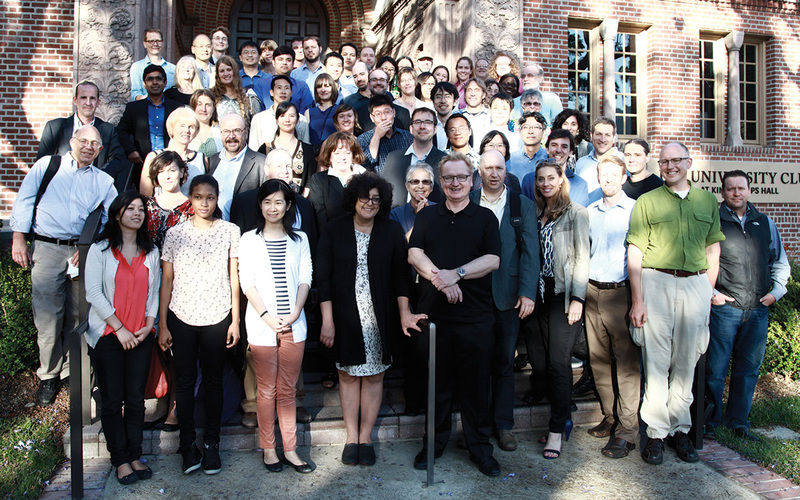 From his first graduate student and postdoc to present lab members, they gathered together to make the event remarkable. I asked Steve what drives him in the field of chronobiology. Being nostalgic, he shared memories of his undergraduate years when his professor, Dr. Trevor Griffiths at the University of Bristol, asked him to investigate how light influences the developmental processes of plants. He recalls that in those days he never realized the dynamics with which plants modulate these developmental phenomena. This sparked his interest, and he was curious to answer the question. 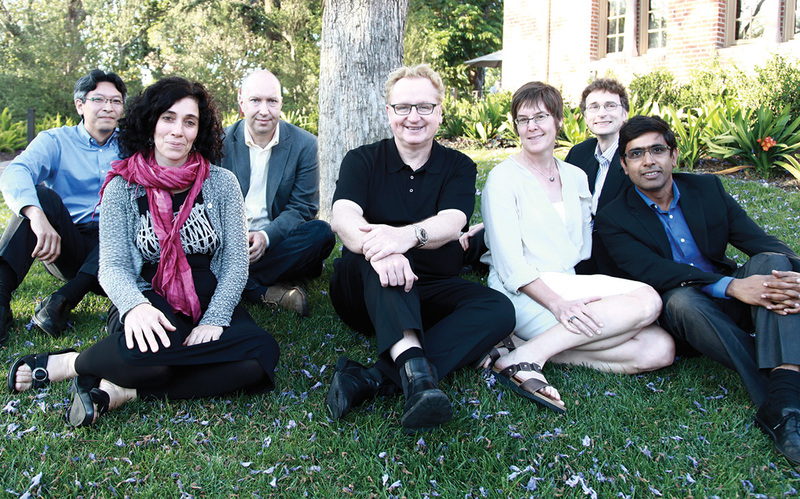 Kay symposium speakers: Steve Kay (center) with (from left) Takato Imaizumi, Fernanda Ceriani, John Hogenesch, Stacey Harmer, Andrew Millar, and Satchin Panda. Photo by Eric Larsen Images. When asked for a message to the incoming generation of researchers, Steve summarized the present situation about extended learning with high expectations and decreasing opportunities. Thus, the most competitive postdocs should integrate different approaches, develop deep knowledge, and show core skill sets. “You have to be a Renaissance man or woman,” he remarked. He also advocated the idea of training grad students and postdocs beyond scientific learning and publishing good papers—by equipping them with skills that prepare them to be adaptable. The Kay Group. Photo by Eric Larsen Images.